The Heywood Hill shawl takes its inspiration from the use of bold colour blocks and simpler cuts and shapes characteristic of 1920s and 1930s fashions. Influenced by modernist avant-garde artistic movements, such design features were a stark contrast with the Edwardian pastels and more complex, structured garments. It is perhaps this degree of contrast that slowed the move from innovative turn of the century haute couture, to wider adoption. Although the relative speed of change in women’s social position and roles precipitated by World War I, also appears to have shifted expectations and accelerated change in women’s wardrobes. 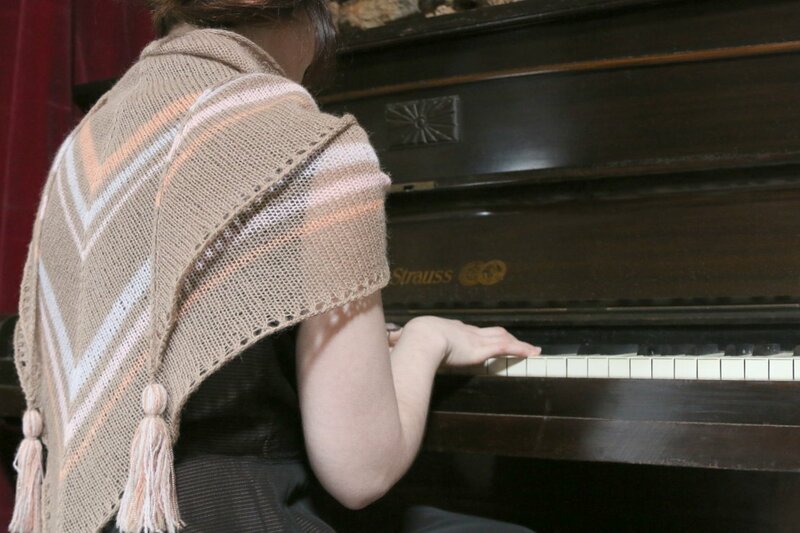 Simple to knit this shawl is also incredibly simple to wear as the ‘V’ shape ensures it sits flat at the neck and drapes nicely over the shoulders to the front and at the back. The beaded tassels give it an added elegance and restrained glamour. 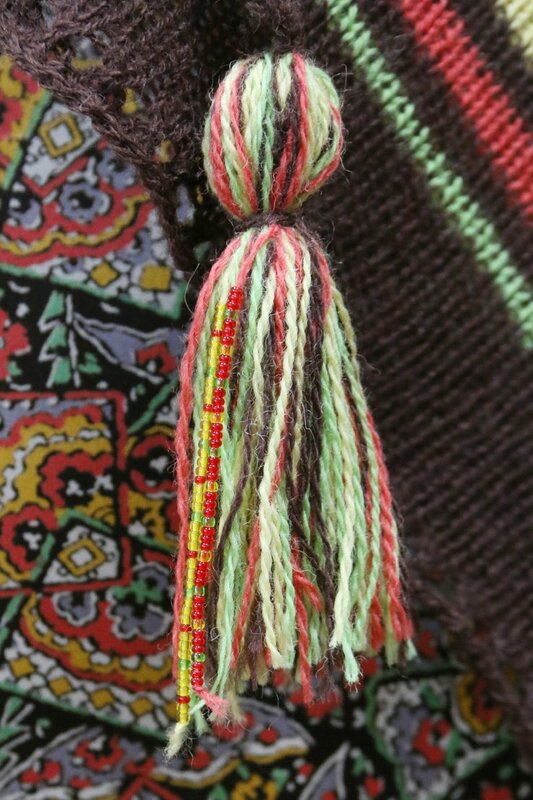 The two colourways used for the samples, the bolder colours for the large and the subtler colours for the medium, show the versatility of both the design and the Fenella yarn palette. 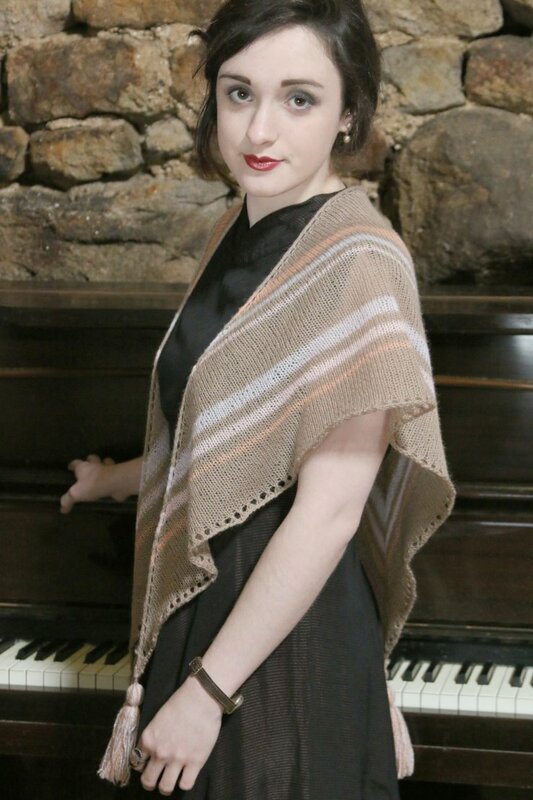 The Heywood Hill shawl is named after the Mayfair bookshop where Nancy Mitford worked in the later war years of the 1940s. This coincided with her perhaps most productive literary period immediately prior to the publication of The Pursuit of Love (1945) and Love in a Cold Climate (1949) and perhaps signalled a timely change in her literary fortunes. Nancy’s marriage to Peter Rodd in 1933 came to be characterised by his numerous affairs. Nancy herself suffered miscarriages and an ectopic pregnancy that resulted in a hysterectomy. In addition her experiences as a relief worker during the Spanish Civil War had cemented her anti-fascism and the outbreak of World War II had divided the Mitford family and seen Rodd commissioned and overseas. Thus Heywood Hill appears to have been not only a place of convalescence but also of literary escape. Family connections with Heywood Hill developed at this time continue as a result of Nancy introducing Debo’s then new husband Andrew Cavendish to the bookshop. By the 1990s he was a major shareholder in the shop and instituted the Heywood Hill Literacy prize which continued until his death in 1990 when its last recipient was Beryl Bainbridge. The Heywood Hill prize was awarded to a writer, publisher or anyone else deserving of recognition for their contribution to ‘the enjoyment of books’. The shop is now completely in the family since Debo and Andrew’s son Peregrine ‘Stoker’ Cavendish, 12th Duke of Devonshire became the sole owner of Heywood Hill. 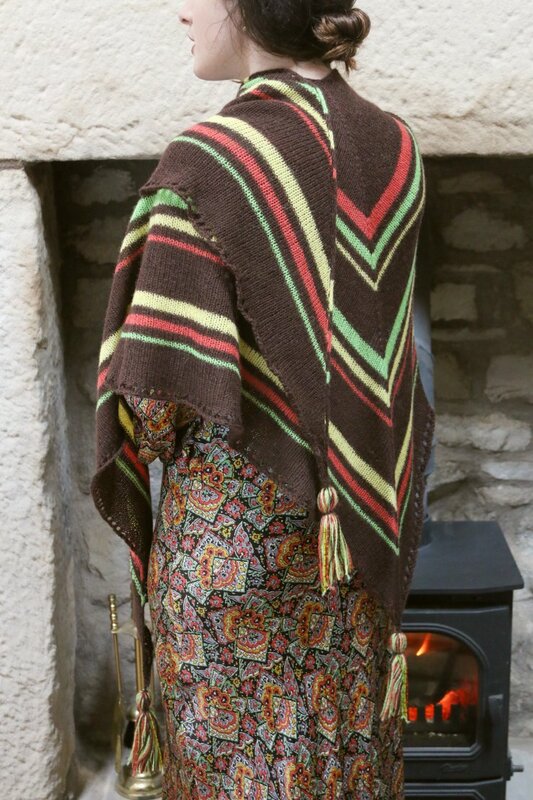 I can just imagine Nancy working at the shop with a Heywood Hill shawl draped over her shoulders and then wrapped around her snuggly as she walked home. 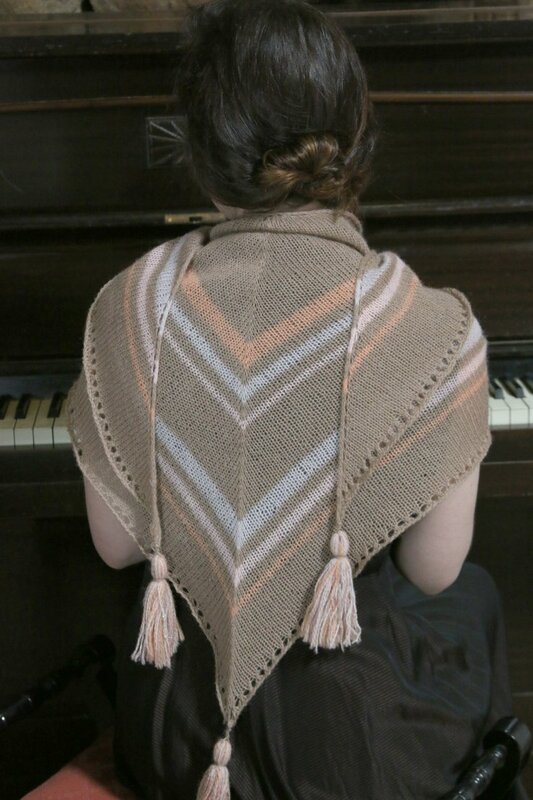 You can also purchase or take a look at all the possible colour combinations of Fenella in the shop here and a kit will also be available from the Susan Crawford Vintage shop. I hope you enjoy Heywood Hill.